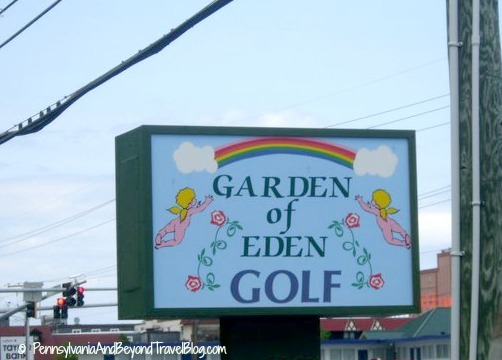 Garden of Eden Miniature Golf is an 18-hole mini golf course located on 18th street in Ocean City, Maryland. At the time that we visited this place was still open but recently we were told that it's being sold and will be undergoing new ownership. Regardless, we did want to highlight our experience playing mini golf there for those who may be visiting the area soon or in the near future. 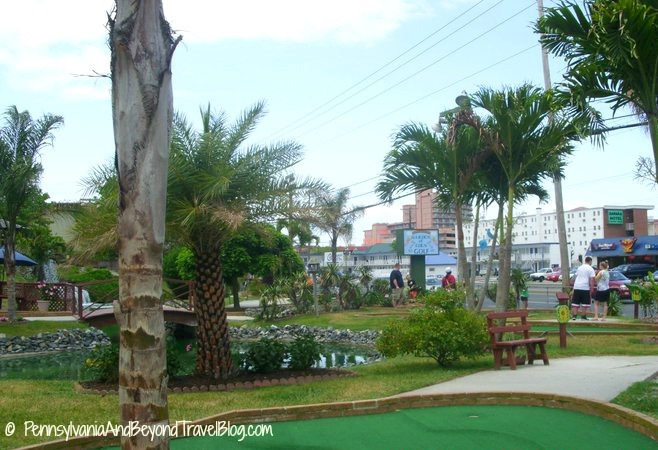 Personally, it was one of the better places that we played out while on vacation in Ocean City. On the day that we visited (a weekday) they weren't busy and it only took us about 45-50 minutes to get through the course. There are a few easy holes but the majority are par 3 and 4. Perfect for family fun day when you have adults and children playing together. One of the things we really loved about this place is that it's beautifully laid out. By that...I mean that it's not all squashed together on a tiny plot of land like many of these tourist mini golf places are. 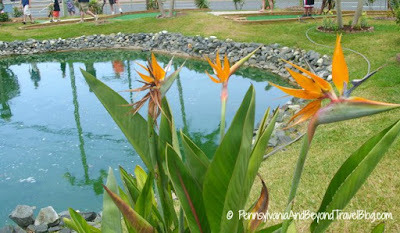 This one had plenty of room to walk around, sit down and just leisurely play your game of golf. 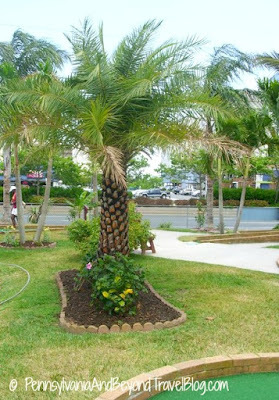 Next, its beautifully landscaped! You really do feel like you are playing mini golf in a tropical paradise or in a garden of eden! I would expect to see this down in the southeast states or the tropics...not on the coast of Maryland. A nice surprise for sure! Like I said at the beginning of this post. When we visited they were still open but were told that they would be closing down soon and selling. I hope next year when we visit the area again that they will be open and under new ownership because we really had a great time visiting the Garden of Eden Mini Golf in Ocean City Maryland. 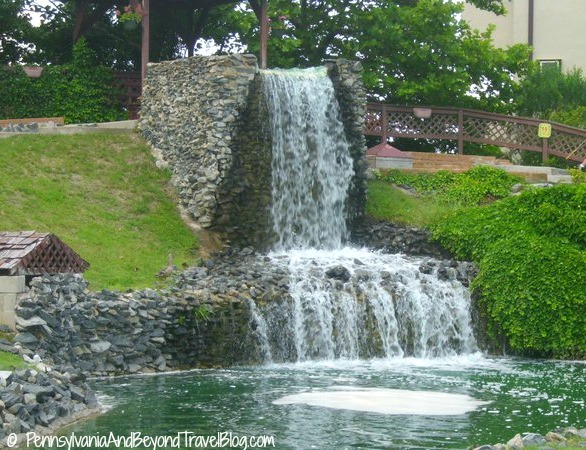 This is one of the most beautiful mini golf places I have ever seen. I certainly hope that the new owners will keep the lovely landscaping,etc.so that people can continue to have a wonderful leisurely time playing.